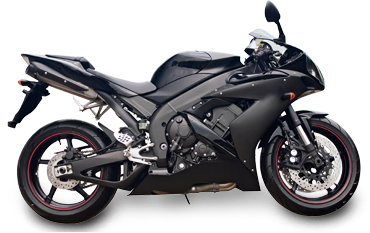 Selling your motorbike in Sydney ? Whether this is your first time or you’ve been through the wringer one too many times, Are You Selling offers you the easy way out when it comes to selling your bike. Forget about trying to sell it privately – don’t bother with sky rocketing advertising costs and the stressful negotiation process, we take all off your hands! With guaranteed unbeatable prices and staff located Australia-wide ready for onsite bike inspections, leave it to us! As long as your bike is a 2004 make or newer and has clocked under 160, 000kms on the speedo, you won’t even have to bother with organising a road-worthy certificate or any documentation. And if you’re happy with the deal, we offer payment before collection, within 24 hours. So fill out our form to get a quote and sell your bike in Sydney today! Where Can I Find Someone To Buy My Bike In Sydney? Our process is simple: We buy any bike. And with a handy online quoting system, we give you a quick and easy solution to unleashing the cash locked away in your bike. So the question goes from ‘where can I find someone to buy my bike in Sydney’ to, ‘where can I spend all this extra cash I have now’? What makes this process even cooler is that we have a “no haggle” policy, which ensures that you get the best price possible for your bike. Funds are released on the spot, selling your bike has never been easier! Got a bike you want to sell? Well we want it! So the ‘please buy my motorbike in Sydney’ struggle is eliminated. It doesn’t matter the bike type, from scooters to cruisers and everything in between, we offer you the easiest online platform to sell your motorbike for cash. As one of the founding members of the online motorbike buying industry, we’ve gotten our customers almost $40,000,000 for their vehicles – with a maximum value for the minimum hassle mentality. So why not get started by getting an instant motorbike valuation now, or simply calling a team member on 1300 788 067.